Accepting the wrong offer. If you know that the property has termite issues, doesn’t have a working heater, or has other significant repair issues, look carefully at the type of financing the buyer will use. VA will not allow the buyer to pay for repairs and it is unlikely that the lender will pay. FHA also has fairly stringent rules about the condition of the property, unless it’s a rehab loan. If there are issues with the condition, selecting a buyer that is using conventional financing, or cash and agrees to buy the home “As Is” will improve your odds of success. Failing to communicate. 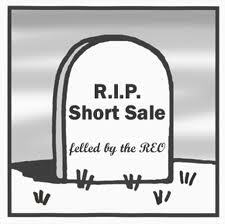 As we all know, short sales are anything but short in terms of the time it takes to close. Having a buyer that stays the course and doesn’t wander off to buy a different property is critical. The listing agent should be in touch with the buyer’s agent at least twice a week and provide updates as soon as they are available. I also have the buyers deposit their earnest money into escrow within 3 days of acceptance of their offer by the sellers – we don’t wait for short sale approval. Buyers that have put their money into escrow and receive regular progress reports tend to be much more committed to completing the purchase. Assuming….anything! Just because you faxed in your seller’s tax returns, doesn’t mean that they were received and made it into their file. For most banks, allow 48 hours for items faxed to the loss mitigation department to be posted into your seller’s file, then call and confirm. Failure to provide documents when requested can kill the deal. Also, don’t assume that the 2nd lien holder will accept whatever pay-off, the 1st lien holder offers. Don’t wait for the 1st to be approved to start negotiating the 2nd . Better to know what they want early in the game. The list could go on and on, as each sale has its own peculiarities that could spell trouble. The key to short sale success is a combination of patience, education, organization, tenacity and a crazy instinct to anticipate obstacles and leap over them before the deal dies. Good luck out there! For a no-obligation consultation regarding a short sale inSan Diego County please give me a call at 619-846-9249.